Why are so many New Jersey disability claims denied? That translates to about a 70 percent chance for the rate of denial of disability claims, and an even higher number is the rate of denial for the first appeal. So why are so many New Jersey disability claims denied? Claimant’s condition must be severe. Severity is measured by whether the condition interferes significantly with the claimant’s daily activities or day-to-day routine. Claimant’s condition must last at least 12 months. One year is the minimum for Social Security disability and SSI. Claimant’s condition must limit them from being able to return to a former job or keep them from being able to perform some other type of work. However even if the claimant meets the basic eligibility requirements, many disability claims get denied during the medical evaluation phase of the process. This is when it is determined whether or not the claimant meets the medical and vocational qualifications required for disability. During this evaluation, it is important to have all available information on any doctors or specialists you have used, and any treatments or subscriptions prescribed to you. 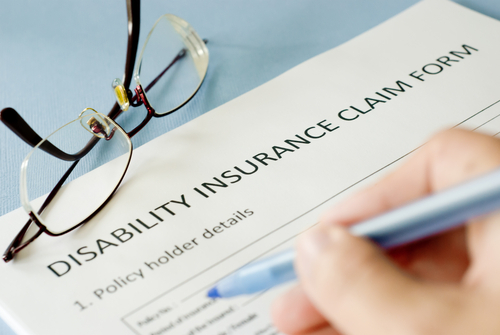 Detailed information on the severity of the condition and the length in which it will affect the claimant is also crucial to get a disability claim approved. If it is determined that the claimant’s condition does meet the requirements then the next step is to file a Request For Reconsideration. Unfortunately, the standards for disability during a Reconsideration appeal are the same as during the initial disability application. This is why so many requests also get denied at this level. However, if an applicant is again denied benefits at the Reconsideration level, the opportunity is then offered for a formal Hearing before an Administrative Law Judge, at which time your attorney will present your case to the Judge. At such a Hearing both the claimant and any witnesses and/or experts will have the opportunity to testify before the Judge, after which a decision will be rendered as to whether the Social Security disability benefits will be granted. As illustrated above, it is not easy to successfully file for disability. With so many different levels and requirements, it is an overwhelming and tedious process. That is why you should consider hiring a lawyer familiar with disability claims and the approval process. The Social Security Disability lawyers at Team Law in New Jersey have been helping people obtain the disability benefits they deserve. Call 732-388-5454 or fill out our convenient online contact form today to schedule your consultation. ← Who Pays the Hospital Bills in a Motorcycle Accident?